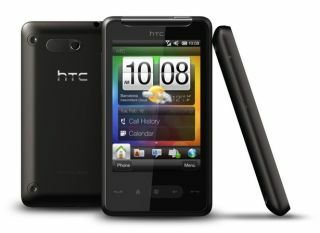 HTC has shown it hasn't forgotten about Windows Mobile by releasing the new HTC HD Mini. The new Windows Mobile phone is running version 6.5.3, meaning it's a lot easier to use under the finger, without the need for a stylus. In fact, a stylus won't be needed, as this is another capacitive Windows Mobile device from HTC - and it's rocking the Sense UI to boot. The screen is 3.2-inches wide, with only HVGA resolution - so this isn't the successor to the Diamond2 we expected to see launching. It does have some nice styling though, with four screws holding the whole thing together and providing it with an 'industrial' look. The HTC HD Mini might be small but it's still packing a powerful punch - there's a 600MHz Qualcomm 7227 chipset under the hood as well. We've not got a UK release date for the HTC HD Mini yet, but we're expecting it to land in early Q2 - so get your chequebooks (well, if you're over 50) out around April will be our guess.